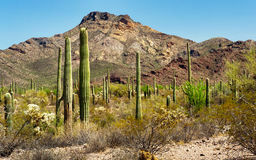 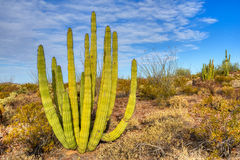 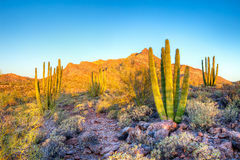 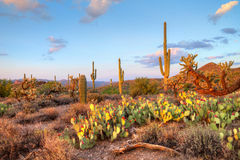 Organ Pipe Cacti mingling with Saguaros, in Organ Pipe Cactus National Monument. 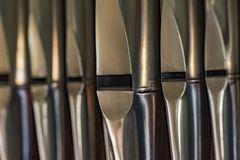 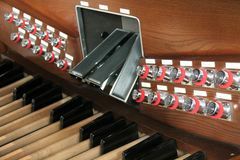 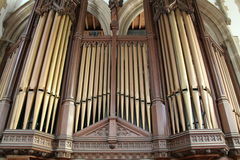 Close up of a series of standing organ pipes made of lead sheet Steel reeds of various sizes for musical organ Church Organ. 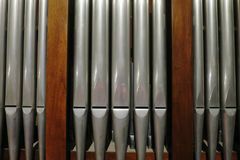 Dutch wind organ Panpipe Church Organ.